Spring sale action on Amazon EU stores: Deals on the A7, 50mm FE, cards and more…. Up to 50% off on Printers at Amazon DE. 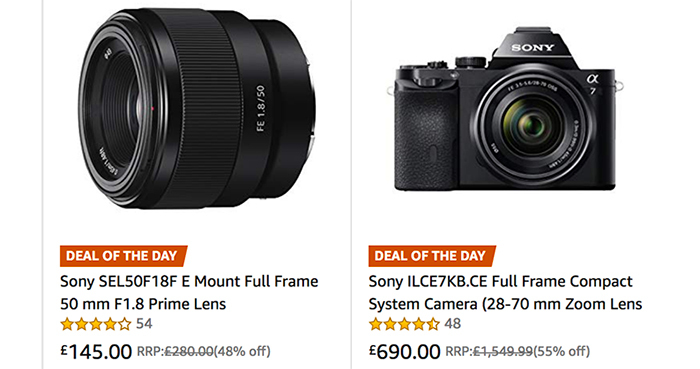 Sony A7 and 50mm FE deals at Amazon UK. Sandisk card deal at Amazon ES and Amazon IT. 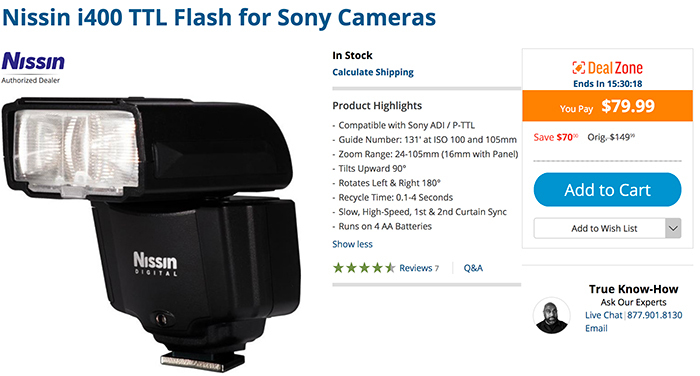 RX100 and Sony A7 deals at Amazon FR. Sony USA launched a new rebate on the Sony A7rIII. Save $400 at BuyDig, BHphoto, Amazon, Adorama, FocusCamera. And here is a list of all over 50+ products announced at the NABshow and available for preorder on BHphoto (Click here). Open Box A7III with kit lens for $1899 only on eBay (OneCall). Today the first Stock of the new Samyang 85mm FE lenses shipped out at BHphoto and Adorama. The new Godox V1 is avilable for preorder at Adorama. Samyang 85mm f/1.4 FE will start shipping on April 5 at BHphoto and Adorama. Sony RX0II ships from April 9 at Amazon US ,BHphoto, FocusCamera and Adorama. Wireless Remote Commander ships on April 30 at Amazon, BHphoto, Adorama and FocusCamera. Sony 24mm f/1.4 GM ships in 1-2 months at Bhphoto. Adorama. Amazon. Sigma 28mm f/1.4 FE has no shipping info at BHphoto. No preorder yet on the Tamron 17-28mm FE listed at BHphoto. No preorder yet on the Voigtlander 50mm f/1.2. 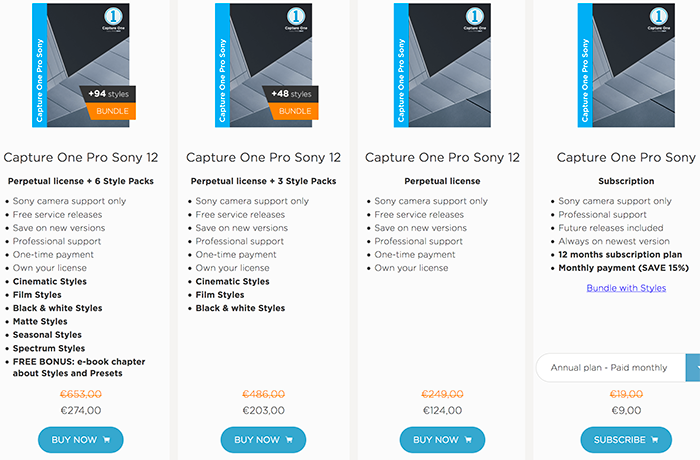 And the Capture One deal on all Sony packages (Click here) has been extended to April 30! You save 50% on the perpetual license, the subscription pan and the style bundles. Today you save $70 on the Nissin i400 flash for Sony sold by BHphoto.